3d representation of Riyadh city Kingdom of Saudi Arabia. 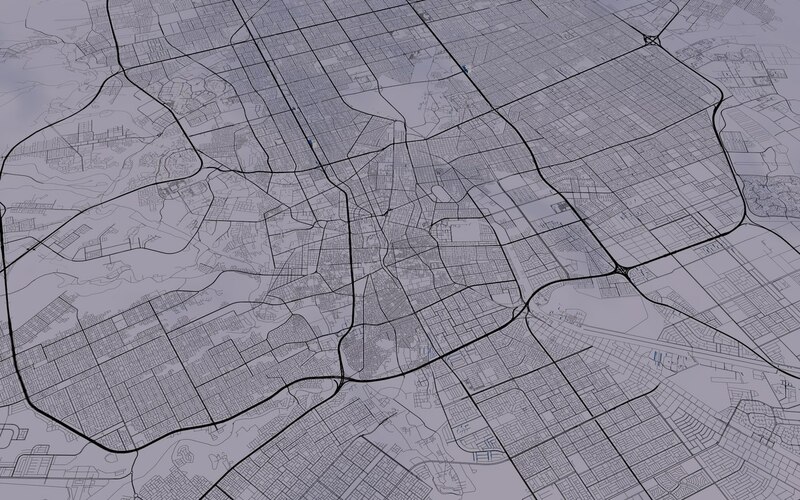 Buildings and roads, streets are modelled using real world data from open street map. The heights and shapes are identical from open street map data. Please note that there may be missing buildings because no such real world data available in the repository. All buildings are low poly and no textures applied. in order to easily apply textures the scene is loaded with basic materials.